In this joint blog Yinka Makinde, Programme Director for DigitalHealth.London and Jenny Thomas, Programme Director for DigitalHealth.London Accelerator explore how technology will play a central role in realising the Long Term Plan, helping clinicians to use the full range of their skills, reduce bureaucracy, stimulate research and enable service transformation. Only last year the NHS celebrated its 70th birthday. Since the launch of the NHS medicine has made unimaginable advances, health needs have changed fundamentally and our society has evolved in numerous ways. And yet, the way care is delivered to many patients across the NHS remains locked in to the service model created in 1948. 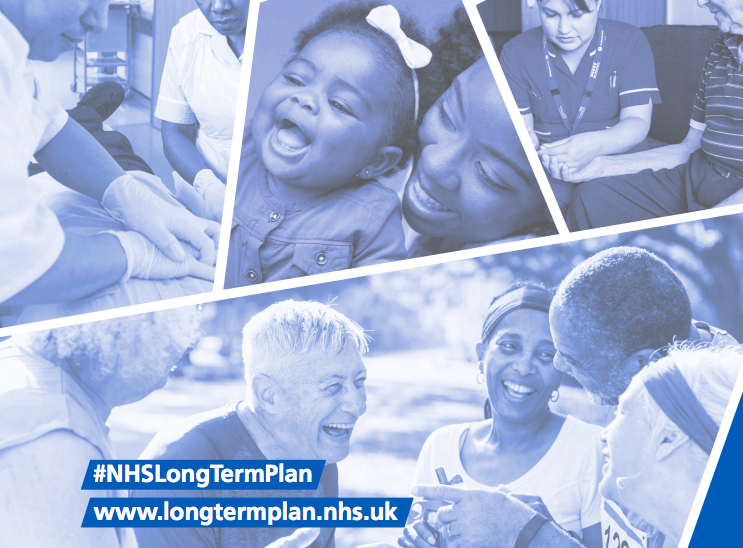 With the publication on 7 January of the NHS Long Term Plan, we now look forward to digitally enabled care going mainstream across the NHS. So, what can we expect to happen now? How are we at DigitalHealth.London going to help ensure we have an NHS that is digitally fit for the future? With the best digital tools and technologies being made available for our patients and practitioners? Well, we are already speeding up the development and scaling of digital innovations across health and care in London. On creating a secure and capable digitally literate workforce, as outlined in the Plan, we’re working with the brightest and the best in London, helping them develop the skills they need to design and lead digital transformation in their own health and care settings. If you want to be part of this innovative NHS Digital Pioneer Fellowship, applications are open now and you have until 18 January 2019 to apply. When people need NHS advice or care, they will have increasing numbers of digital options to choose from. If you’re looking for an app or technology to help you lose weight and feel better, access your GP via video link, or to order your repeat prescriptions online, the chances are there’s something out there to suit your needs. We have worked with more than 90 trusted innovators through our Accelerator programme – supporting them to work with the NHS, so that even more digital tools are at your fingertips. Support for people with long-term conditions will be improved by interoperability of data, mobile monitoring devices and the use of connected home technologies over the next few years. Innovators like MySense, Lavanya, and Oviva are helping people to stay well and to manage their conditions more effectively at home. Patients living with Type2 diabetes have seen a significant reduction in body mass index (BMI), blood pressure and blood sugar (HbA1c) levels, as well as losing on average two to three kilograms of weight, with some able to stop taking their metformin diabetes medication. This leads to happier, healthier patients, allowing NHS practitioners to focus more closely on the patients that need them the most. We’re also working across the wider NHS, with the voluntary sector, developers, and individuals to help develop a range of technologies to support particular conditions. Through AHSN “innovation exchanges,” we support innovators to refine their propositions and develop more relevant solutions to become ready for market; helping more innovative tools and technology get into the hands of patients more quickly. Despite all the above, some questions still remain. How will this all be funded? How will patients across different geographies be able to access the different technologies? How will the NHS make this transformation happen with current resource requirements? Well, the ten year plan does give some answers. NHS England Chief Executive Simon Stevens has promised a new operating model, removal of procurement barriers and local funding allocations. This is all moving in the right direction. If we make the current Long Term Plan happen, just imagine what the ten year plan from 2029 will look like!